Almost half of the 630 migrants that were rescued from the Mediterranean and arrived in Spain’s port of Valencia at the weekend want to seek asylum in France, the Spanish government said Monday. “Almost half the migrants have shown their willingness to seek asylum in France, whic offered to welcome some of the people travelling on the ship,” Spain’s new socialist government said in a statement. 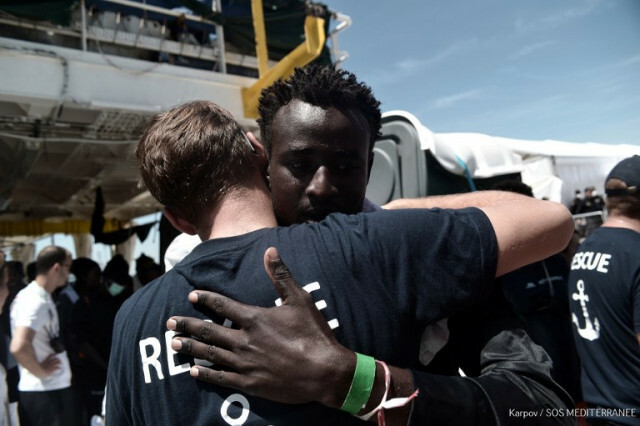 The Aquarius rescued them off Libya’s coast on June 9th and Italy and Malta’s refusal to let the ship dock led to an international outcry before Spain stepped in to help.